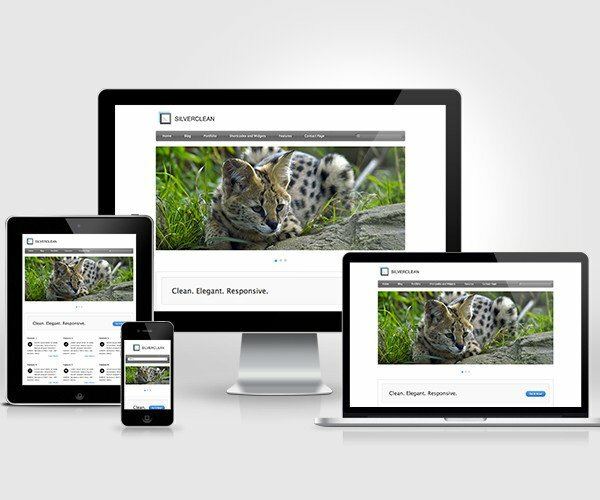 Clean, Elegant, Responsive WordPress Theme. With a light white and chrome colour scheme that reminds of some big tech firms’ websites, Silverclean lets you create a clean looking and tech inspiring website. Silverclean looks good right out of the box, letting you create a beautiful and professional looking site in minutes. The Pro version comes with a great set of awesome additional features, be sure to check it out and go pro! Download Silverclean Lite for free now!